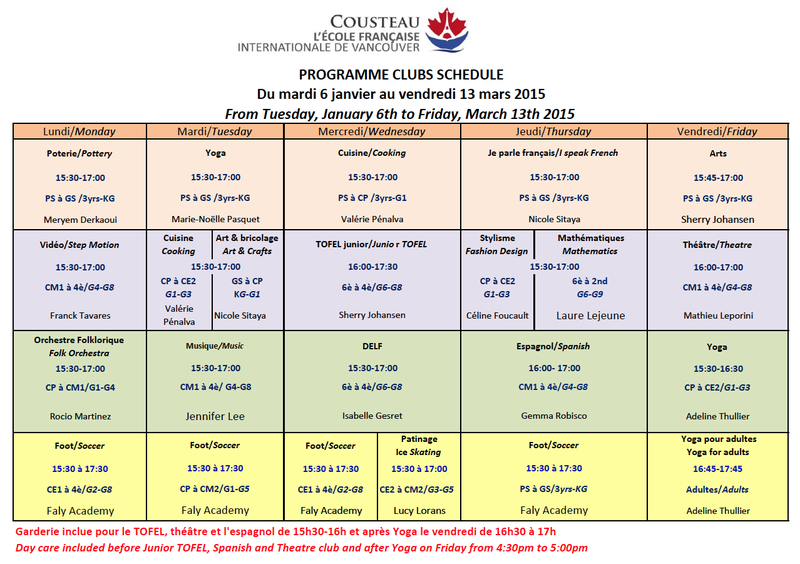 Did you know that after-school programs at The French International School Cousteau (located in the former Fromme Elementary building) are available to students who are not enrolled at the school? Programs include cooking, yoga, theatre, soccer, karate, etc. The cost is $300 per student per program. Click here or on the graphic below to view the full schedule.